We offer a wide variety of services from installation, repair, and troubleshooting your problems, to rebuilding and reselling truck cranes. We do it all! Need a new lift? We are an authorized dealer for Auto Crane truck cranes. Let B&B help you find the right crane for the job. We have hundreds of new OEM Auto Crane replacement parts available as well as an extensive line of used and refurbished parts for your truck crane. Here at B&B Truck Crane, we specialize in service truck cranes, from electric and hydraulic to electric/hydraulic and work-ready trucks. We proudly offer many services to fulfill all of your Auto Crane parts, service and maintenance needs, led by owner Eddie Davis. Not only do we sell new cranes, we repair and refurbish old ones. Our service truck cranes are a big part of our business, so trust us to repair, refurbish and rebuild your truck-mounted crane to like-new condition. Working on all brands of truck cranes, lift gates, winches and outrigger bodies, we can even rewire your old electrical panels. Certified to perform OSHA, MSHA and annual inspections and certifications, B&B is your go-to source for service body, flatbed and dump bed installations. 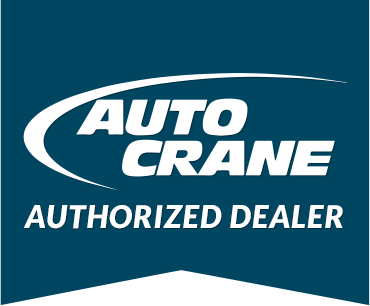 We are proud to be an Auto Crane Pinnacle Plus authorized dealer. Auto Crane has been the leading brand in innovation for more than 55 years, setting the industry standard in telescoping service cranes. That’s why we are an authorized dealer: we only work with the best manufacturers in the business, passing that assurance of quality onto you, our valued customers. Stocking a large variety of new Auto Crane brand truck cranes, we can order the one you want and deliver it to you in about four weeks, installing it free minus the cost of parts. We also service and sell used cranes that have been performance tested, safety checked, and feature a three-month parts warranty. As we said above, we know and trust Auto Crane products, backed by NexStar™, the latest in service crane technology that sets the standard for safety, performance, productivity and longevity. Safety: Protecting people from injury and property from damage. Performance: Capacity to lift 100 percent of the crane’s load capacity. Productivity: Fast, efficient load-handling operations. Longevity: Performs well under heavy-duty demands, offering a long service life and low total cost of ownership. Electric/Hydraulic: Tether, Boom: Manual, Hydraulic-Manual or Hydraulic, Continuous Rotation, with lift capacity of up to 6,000 lbs. To learn more about our service truck crane services and products, call us today at 256-634-4000 for a free estimate. We will even give you a trade-in quote toward the purchase of any of our new or pre-owned cranes.